We do windows – spot-free and environmentally friendly – top to bottom. Our Window Cleaners use Ionics Reach and Wash Window Cleaning System. This powerful and efficient system can reach up to 72 feet (6+ floors) and cleans frames and glass at no extra cost. 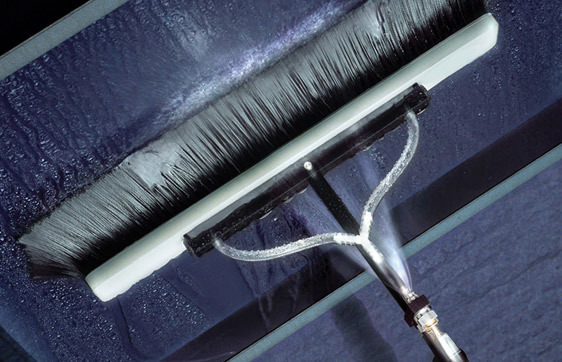 This system not only cleans windows but can be used to clean signs, paneling, cladding, facades, glass roofs and canopies to a spot-free finish. The system is environmentally friendly – no chemicals are used. Windows that were previously inaccessible can now be cleaned with ease. The need for ladders, cherry pickers and cradles is eliminated keeping our operators working safely on the ground.